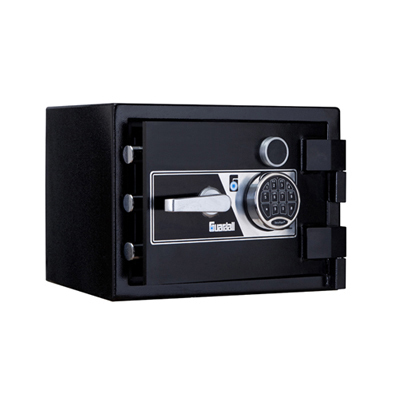 MILNER safes are the third oldest safe company in the UK. They were established in 1830. The founder, Thomas Milner, originally a tinsmith and metal box-maker from Sheffield, set up a safe factory in Liverpool where he set about producing tin-plate and sheet iron boxes with his newly patented fire-resisting composition and was employing 35 men. From 1846, he moved on to strong plate iron safes and chests. Thomas died in 1849 leaving his son William as a partner in the newly named Milner & Son and so rapidly was the company growing that by 1851 they were employing 110 men. 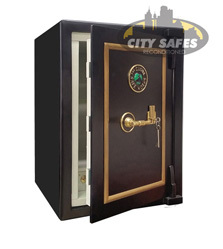 At City Safes we have seen many Milner safes refurbished to their original glory in our workshops. The brand is recognised for its ornate features and detailed plaques and plates - all original. Please see below for Milner products currently available. As reconditioned safe turn over extremely quickly it is advised to contact our office to confirm availability.